Here is the latest forecast of the S&P 500 index through Q2 2014 base on my own model. The values are quarterly averages because the model uses profits to predict the market and profit data comes out quarterly. 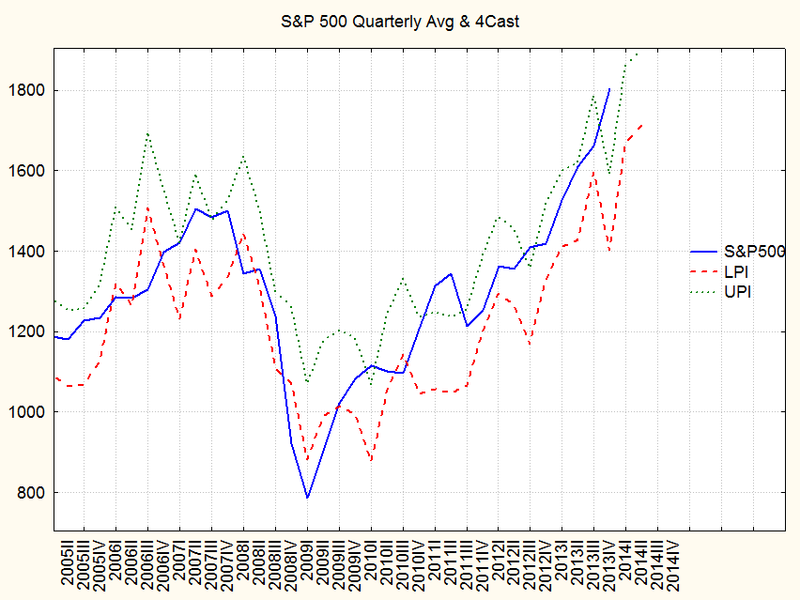 The blue line shows the actual quarterly average for the S&P 500. The index rose faster than profits last quarter. The forecast shows the market in Q2 to be somewhere near the heights it attained last quarter. That may mean that the market will trade in a narrow range until profits catch up. Earnings season for the last quarter of 2013 has just begun and will provide clues to the market's direction.